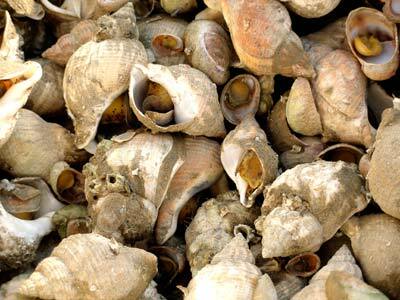 Whelk. A small shellfish or sea snail. It is an edible marine gastropod.